"What if he died thinking I didn’t love him? 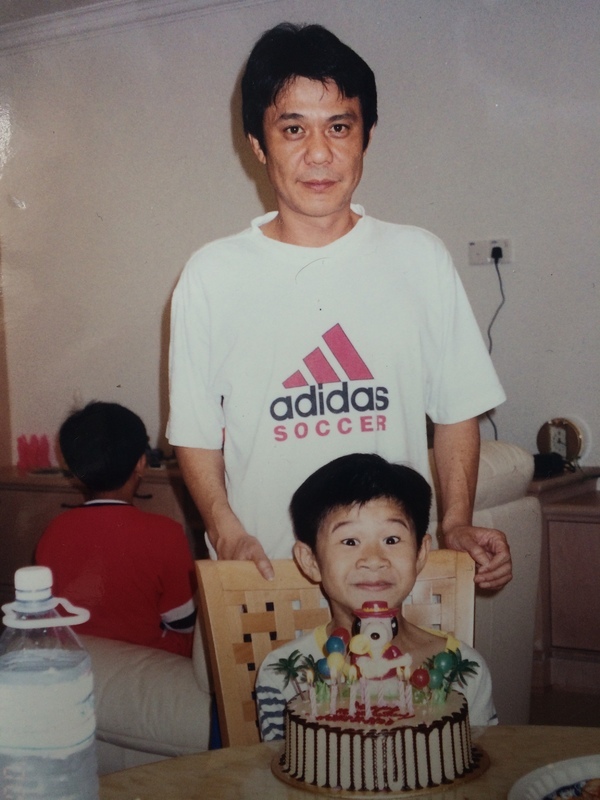 Would he still be around if I had called or texted him more often even for a few seconds just to ask how his day was..."
For the first time this year, Lee Seng Hoo celebrated his birthday without his father. He tragically lost his father to suicide last year. 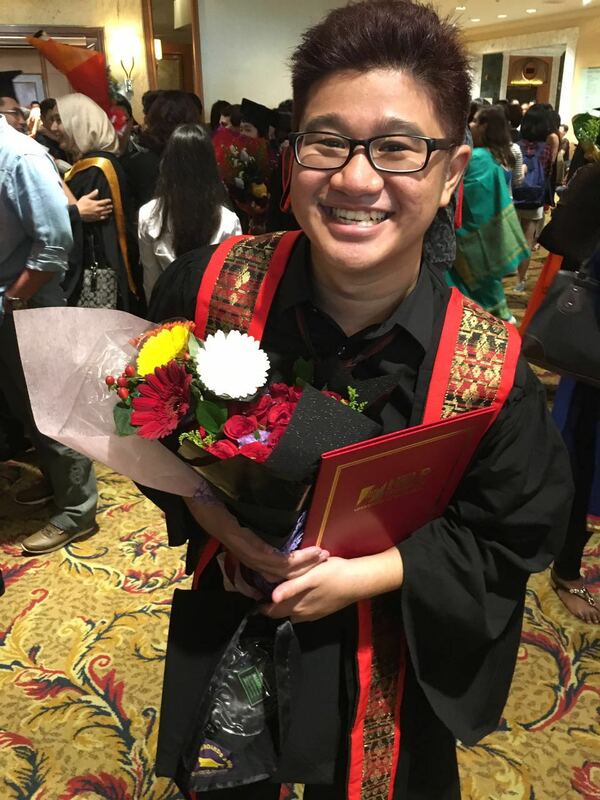 Born and raised in Ipoh Perak, Seng Hoo now juggles between his job as an educational assistant working directly with a child with autism in an international school and studying full-time for his master's in child psychology. Meanwhile, in his free time, he does some very interesting face and body painting. I can’t believe one year has already come and gone since he left us. 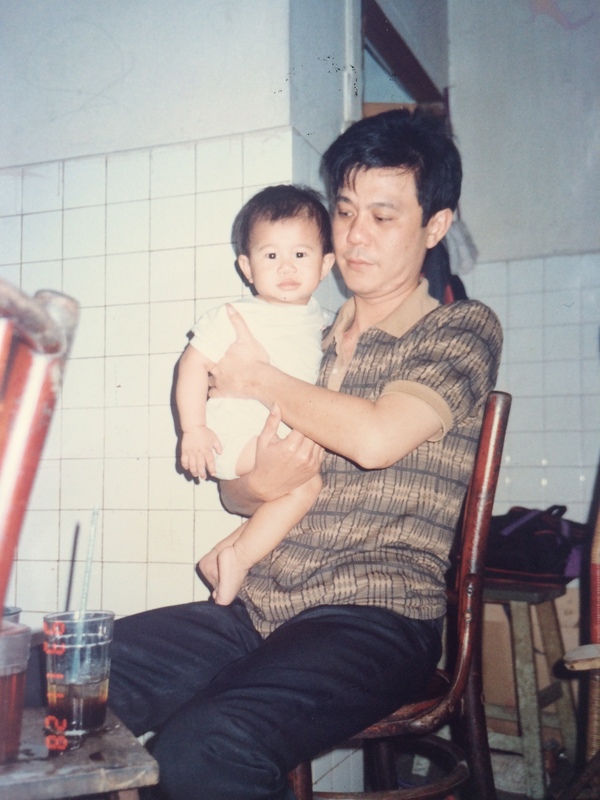 I experienced my first birthday, my first Chinese New Year and first Father's Day as well as my graduation without him. I have never felt emptier. "You were supposed to be in the family photo with us during my convocation." There are days where it feels like it was just yesterday that I received the news of his passing; I remember I was in school when I got the call. I immediately broke down in front of my students and colleagues. But other days it feels like time is moving in slow motion with the brooding agony. I remember staring at his coffin as tears were streaming down my face and muttering to myself, "You’re so f###ing selfish." If he had died of old age or from an illness, I could’ve blamed his failing kidneys, a deadly tumour, or the cancer cells. If he had died from being murdered, I could’ve blamed the malicious perpetrator. If he had died from an accident, I could’ve blamed the tree branch that fell on him. But the man chose to take his own life and there was no one else to blame. Losing someone to suicide is not fun and all you want are answers. "Why did he kill himself?" is something I constantly ask myself, but part of me is okay that I’m left with uncertainties because if I knew what was happening in his head — the days, hours, minutes or seconds before he made the decision to end his own life — I'd be in that same, dark, terrible place he was. And I’m sure he wouldn’t want me to feel that way. "Am I a terrible son?" I think to myself on a regular basis. What if he died thinking I didn’t love him? Would he still be around if I had called or texted him more often even for a few seconds just to ask how his day was, or if I had stopped asking him for money knowing he wasn’t financially stable? Would he still be around if I were a more loving, caring and better son? 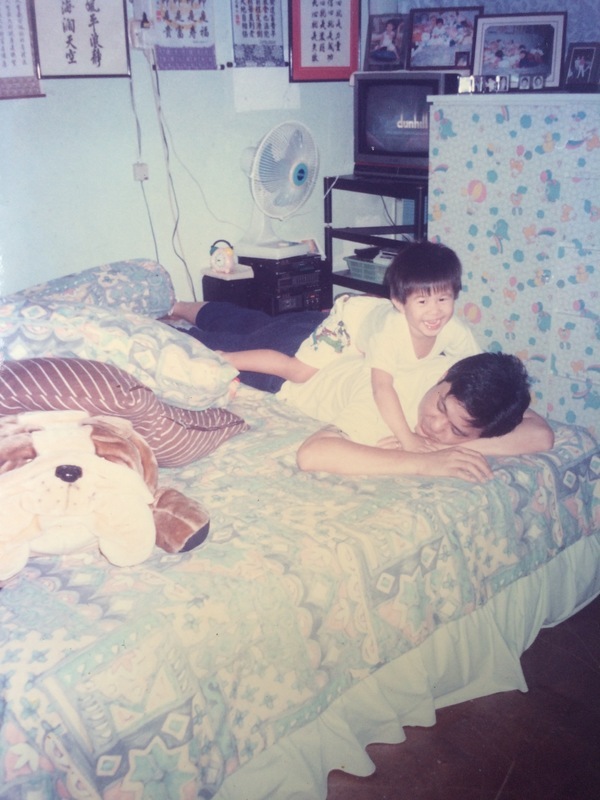 He wasn’t exactly a nominee for "Father of the Year", but he was still my dad. We were distant, as father and son. But we were blood, and nothing in the world can change that. It’s too late now to realise that how much I should’ve and could’ve done more. I can’t take back all the "I hate you" and "I wouldn’t care if you were dead" now. Every fibre in my body seems to pull away from my bones in a cry not to blame myself that my lack of love towards him may have been a contributing factor to his death. The guilt is nailed into the soles of my feet. What is this? Is this some sick, cruel, twisted way to punish me and my family for all the things I’ve done wrong? All the people I've hurt through my ignorance? I have forgotten his phone number and the exact year he was born in, but I remember his smell and the sound of his voice. I have forgotten how his tattoos look like, but I remember the face of his corpse in the coffin. They’re painful memories of him, but they’re memories nonetheless. He was not doing it for attention either. At the heat of the moment, I'd say he was selfish. I still think he was, but now; exactly one year later, it’s just death, to me. We don’t have to romanticise, glorify or come up with excuses for him or those who had made the decision to kill themselves. We just have to acquiesce in the fact that they’re gone, and there’s nothing we can do to bring them back. A lot of people seem to think that suicide is about wanting to die, but I’ve learned from my father’s death that it is more about trying to get rid of the pain; just like how people who self-harm to eliminate emotional pain. Death is never the solution, but I guess it’s better than suffering every day. And perhaps, he was suffering. Death changes you. Some parts of me have changed. I behave and perceive things differently; that I’m a slightly different person now from the past year and I can’t figure out if it’s for the better or for the worse. Your life is basically cut into two sections: Before and after. Pieces of him have fallen into every body I’ve painted. "Father’s Day is approaching," I thought to myself. "I was supposed to send you a 'Happy Father’s Day' text." But all I can do is type those words out on my phone, but the message would never be sent even if I had pressed the button. I was in the best state of equilibrium when people stopped asking me how I was feeling (during the earlier periods of the event) because it gave me the space to breathe, sink in the agony and cry. I didn’t need cliches or platitudes, or someone to tell me my grief should or must have an expiration date after a certain period of time. I was so sick of people telling me "he’s in a better place". So f###ing sick of hearing statements that were supposed to make me feel better. "It’ll be okay." "You will heal with time." I liked talking about it because I figured it was healthier to do so rather than bottling up my feelings. But every single I talk about it, I have to wrestle with the same f###ing harrowing emotions again and put myself in an excruciating position. 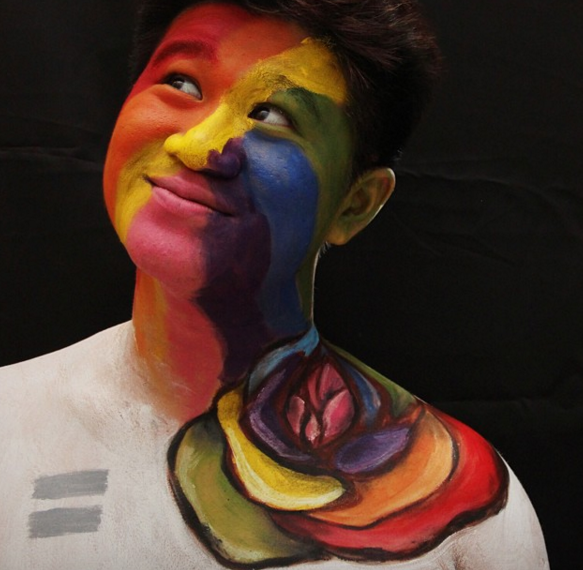 Seng Hoo does body and face painting during his free time. But for the past year, the amount of emotional support I’ve received has been overwhelming. I don’t know what kind of stupid s##t I would’ve done or in what state of emotional instability would I be if it wasn’t for them. Many of them allowed me to vent out my feelings and validated them. They could’ve said they’re tired of hearing me ranting about my feelings or that I should move on and that life goes on, but they gave me the opportunity all the time to express my sadness. But now, I’ve become obsessed with speaking about suicide. I can't say that I've completely accepted death and moved on from his suicide, but I have learned to take it one day at a time. Because beyond that, we have no guarantees, right? So just one day at a time. Every piece by piece. One breath at a time. But here I am, exactly a year later. The pain continues as I’m writing this, and it will always be here. It just hurts a little less with time. I will be grieving for the rest of my life. I will cry uglily when I’m given the opportunity to be alone. It is a constant and repeated stab in my chest that I can’t do anything about. But I know I'll get through it each and every time this feeling overwhelms me because every single time I thought I wouldn’t get over a problem or a certain type of sadness, I do eventually. I fought and will continue fighting through it because I'm a f###ing strong person. If you want relief from your suffering, you have to choose to live; reach out and find the courage to make tomorrow better than today. There is hope; things will get better, people's minds will change, opportunities will arise somewhere, and you should be around to see and experience it. What if you end up being the one that finds the cure for cancer, or the one that discovers life on Mars? And how will you ever know your true potential if you’re not there to experience it? All the people you will never meet, all the lives you won’t touch or inspire. The future is a mystery; scary, yes, but you should stick around to discover the secrets and what lies ahead. Stay with us. Permanent solutions to temporary problems don’t make sense. I'd give anything to make any of you not kill yourself today, tonight, tomorrow… Or ever. Because I wished I could’ve done and said the same thing to my father. SUBMIT YOUR STORY NOW, or work on it and send it soon. Share a personal experience, your story as an urban city-dweller in Malaysia, whether it’s yours or from someone you know, email [email protected] or FB message us. We’ll get in touch with you for your story to be featured on SAYS!